DESTRÖYER 666 have no need to prove anything. 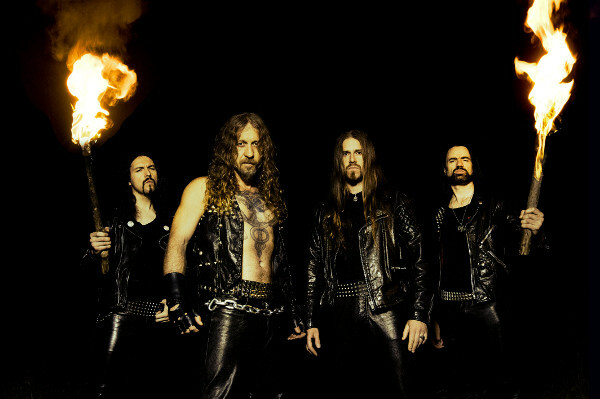 The band originally starting out as a solo project of BESTIAL WARLUST, guitarist KK in Australia in 1994 has already delivered four highly acclaimed and influential albums that cemented their excellent reputation within the metal scene. With their debut album ‘Unchain the Wolves’ (1997), DESTRÖYER 666 quickly gained international attention. The band followed up with the even stronger ‘Phoenix Rising’ (2000), which saw the Australians relocating to Europe in order to satisfy the soaring demand for touring and festival shows. After a round of line-up changes, their third full length ‘Cold Steel… For an Iron Age’ (2002) again took the scene by storm. 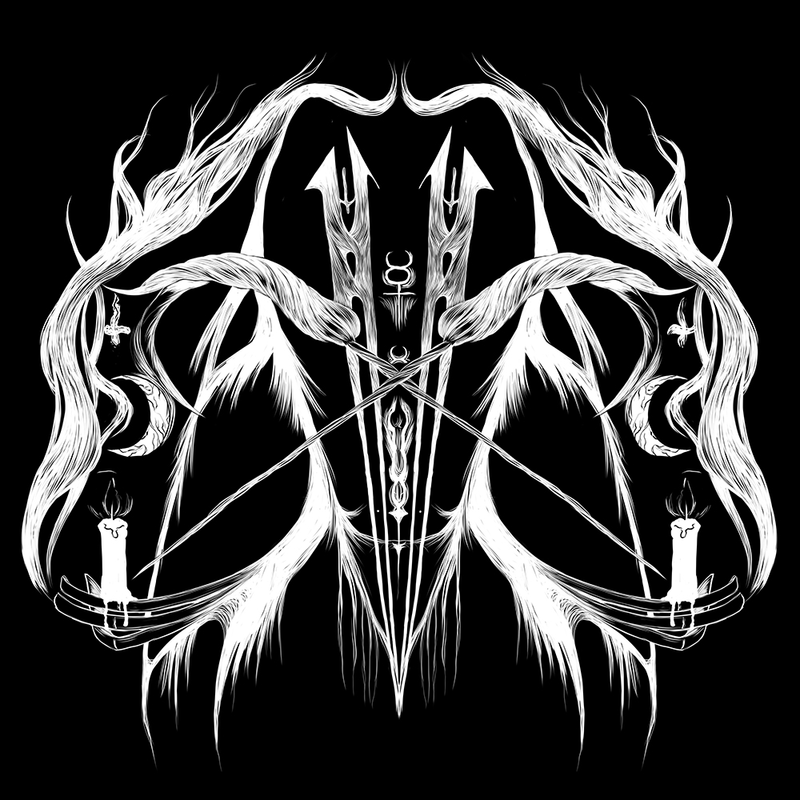 Following a hiatus caused among other issues by disenchantment with the business, DESTRÖYER 666 returned with the crushing ‘Defiance’ to climb to a new peak in 2009. Prepare yourselves as DESTRÖYER are coming to burn the shores of Malta with their latest album Wildfire. These nine burning tracks will strike you down and burn you alive. 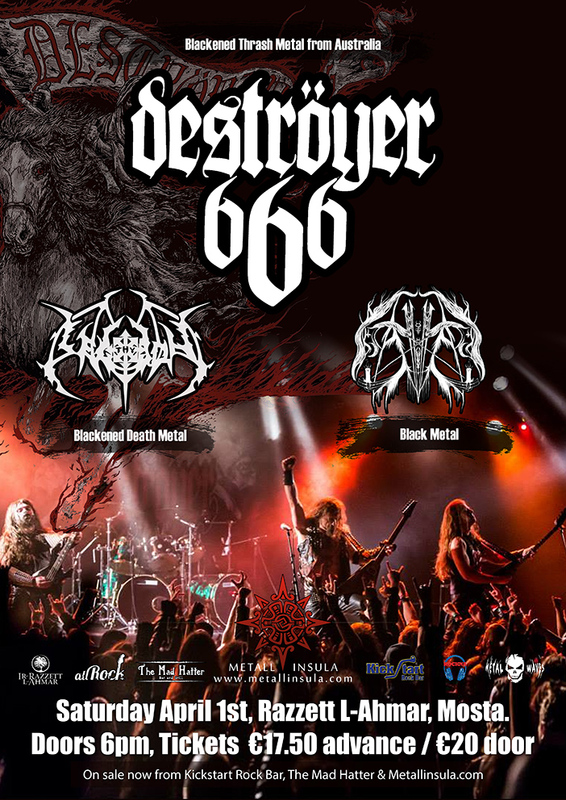 DESTRÖYER 666 deliver metal at its best – made powerful by an unbroken and unrelenting spirit. No compromise! If you think that’s enough think again. 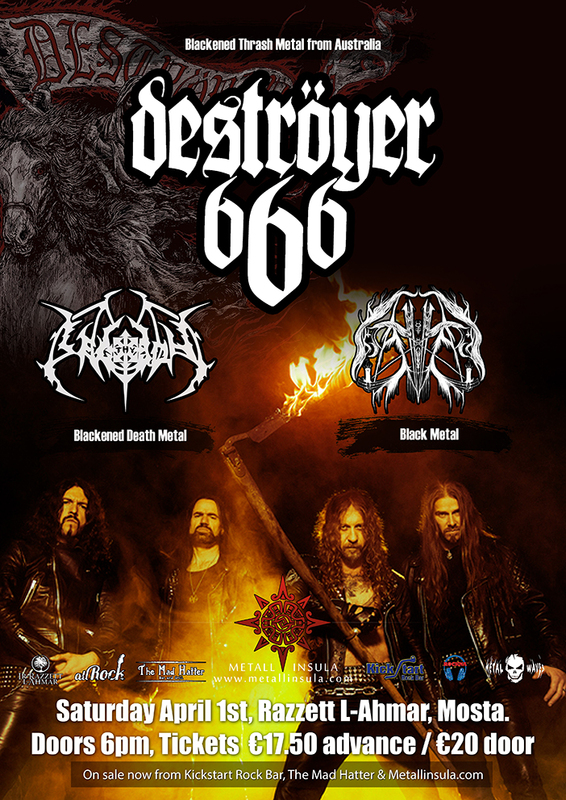 Opening for DESTRÖYER 666 are Thy Legion (blackened death metal from Malta) who have recently released their latest album World Stigmata and SaHHaR (black metal from Malta) who also released their new album Pjanetaċidju. What better way to welcome such a fiery beast with new songs from such a deadly duo. Prepare for Saturday April 1st at Razzett L-Ahmar, Mosta. Doors open at 6pm. 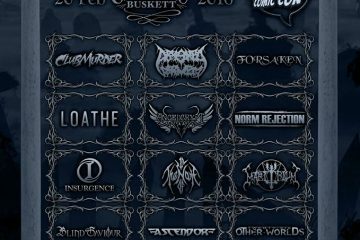 Metal over Malta returns this weekend!